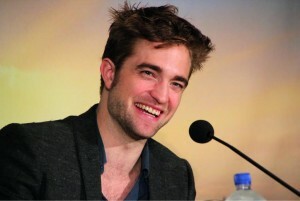 Pattinson Ladies: Rob at the 'Breaking Dawn - Part 2' LA press conference! 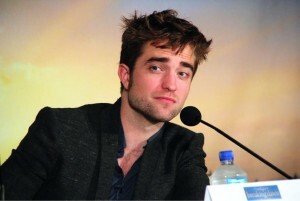 Rob at the 'Breaking Dawn - Part 2' LA press conference! source|Check out more fan pics here! Question: Having done five of these films now, do you have any perspective on what this franchise means to the fans? ROB PATTINSON: It’s funny, people were asking me how I’d feel when it all ends, on the first movie, and I don’t think I’ve ever felt more completely bewildered, knowing that I only have a month of Twilight stuff left to do. I don’t know. I’ve said, I think since the second one, that it’s going to take 10 years to really settle in my brain, and I’m four years into it. But, I don’t think there is any analysis. I don’t think anyone knows why people like it. I don’t think even the fans know why they connect with it the way they do. It’s a visceral thing. I don’t even know if Stephenie [Meyer] could tell you why she was so fixated on this very, very contained story about these very obsessive characters. It’s just an anomaly. That’s a terrible answer. I don’t know. If you could go back five years, what kind of advice would you give yourself to prepare you for this entire experience? PATTINSON: Start drinking vodka instead of beer, and try to get a six-pack as early as possible because you’ll be a much more successful actor. I don’t know. It’s fun to deal with the terror and the huge highs and lows of things. We’re still getting massive surprises, anytime there’s any Twilight-related event or anything. I remember, with the third movie, when we went to Munich and the entire Olympic stadium was filled with fans. We walked in there and did nothing. There was supposed to be a Q&A, but me, Kristen [Stewart] and Taylor [Lautner] stood in the middle of the Olympic stadium with 30,000 people just screaming for 15 minutes. It’s absolutely bizarre! There’s no way you can ever compute it. When you think of forever, what things come to mind for you? PATTINSON: Death. What is forever? God, I don’t know. Hope, I guess. That’s a difficult question. I don’t know. Lots of things. What was your last moment of being Edward Cullen like? PATTINSON: It was hilarious, considering we’d spent the entire series filming in the most miserable conditions, and then we ended on the beach in the Caribbean, filming for two days in the sea. That was fun. We literally did the last shot, as the sun was coming up in St. Thomas in the Virgin Islands. It was a nice way to end it ‘cause they were considering shooting it in the sea in Vancouver, which would not have worked at all. Were you sad to let the character go? PATTINSON: Yeah. It was very, very strange. I still had the same frustration with trying to play it, the entire way through, right up until the last shot. It’s a strange part because, on one hand, a lot of the audience projects their idea of Edward onto him. It doesn’t matter what he is. They want him to be a certain way. And then, my instincts to try to play it were to try to find the fallibility in him and the weaknesses. You’re trying to play both these things at the same time and it becomes very strange. You’re trying to play someone who’s seen by a lot of people as this perfect thing, but what is that? That doesn’t mean anything. So, you’re trying to play an archetype on one hand and a character on the other, so I felt insanely frustrated, right up until the last shot, and then it ended. What was the most difficult thing to leave behind, with this character, and what were you glad to leave behind? PATTINSON: There’s a thing, in general, about doing any kind of series, especially when the characters remain the same, to go back and try to improve whatever you did in the last movie, which never happens. That work ethic is nice. You feel quite strangely secure. It’s the opposite of how you’re supposed to feel doing a movie. It’s supposed to feel totally foreign, every single time. But, going back for another go at it is good, on one hand, but it’s also bad, on another hand. Your ideas dry up sometimes, and you get lazy sometimes ‘cause you’re around the same people. That was the good thing about having different directors. You had to stay on your toes. What was the worst thing? Playing the part where you can’t get hurt and you can’t die gives you no framework. There are too many possibilities, if you can’t die. If you’re playing a normal human being, there’s always that. How do you see the success of this franchise affecting your career, 10 or 15 years from now? PATTINSON: I don’t know. People ask me if I’m afraid of getting typecast, but you can’t be afraid of that. It’s really not up to you. I’m getting other parts that aren’t vampires. I don’t know if people will accept me in them, or whatever, but there’s really nothing to be afraid of. But, in 15 years, I have no idea. I don’t know how people will remember this series, at all. It’s crazy how intense people are. The fan base is still five years on, and I don’t know how long it’s going to last. It would be insane, if there’s still the same tenacity in 15 years. Is there any moment, in particular, during the entire Twilight experience that you would like to relieve? PATTINSON: The whole first movie was pretty fun. I had never really done a movie like it, when there’s such a big cast of people that are around about the same age. Everyone didn’t really know what was going to happen with the movie, but there was a good energy. There was something which people were fighting for, in a way. They wanted it to be something special. None of us were really known then, as well. It felt like a big deal, at the time. It was really exciting, doing the first one, and the whole year afterwards was an exciting year. Are you concerned about maintaining this same level of success, throughout your career? PATTINSON: Well, I don’t know. If I could get any semblance of, not really anonymity, but control over my public image, that would be nice. But no, I think it’s impossible [to maintain that], for one thing. I don’t think anyone can do that, apart from Denzel Washington. It’s a strange place that the film industry is at, where you can just play superhero after superhero. That seems to be the only guaranteed big-money thing. I don’t know. It’s not necessarily that satisfying getting monetary success, but sometimes it keeps the door open to make what you want to make. Other times, you can make five massive hits in a row and still not get cast by the directors you want to work with, doing little movies. There are no guarantees. I’m trying to sign up and do movies that I’ll be proud of, if it’s my last one. That’s how I think about it. At the end of the day, are you glad this is all over? PATTINSON: In some ways. After the first one, people started referring to it as a franchise, but a franchise is a Burger King or a Subway. It’s not a movie. The people who start to say it are generally the people who are making money off of it. They love it when something becomes a franchise. But, as an actor, I think it’s scary. You really, really feel like you have no control. It’s a huge juggernaut, especially when something becomes part of the cultural landscape, as well. It’s really scary ‘cause you get trapped and you get scared of changing, which is the worst thing that can happen, if you want to be any kind of artist. Are you more famous in the U.K. than you are here? PATTINSON: I don’t know, actually. I used to be able to be in England and just be fine. No one had any idea who I was. It came later in England. Now, it’s relatively similar. I get a lot more abuse in England. That’s just a general English attitude. I did the same thing to famous people. It’s just your instinct. How was it to step into the father role? PATTINSON: I actually quite like working with kids and I like working with animals, which everybody says you shouldn’t do. It makes you feel like you’re not acting, as soon as you have someone who’s providing stuff to react to. Especially working with a baby is great. I would say, put a baby in every scene. You can put a dog in a scene and everyone’s going to be better, I guarantee it. And if they’re not better, just shoot the dog. But, it was fun. What’s your favorite vampire movie? PATTINSON: I really like Blade. I wish people would make hard R-rated fantasy movies again. It’s completely irrelevant, but people should do that more. I haven’t seen that many vampire things. It’s always been strange to me that someone can say they’re a vampire fan. I’m not a non-fan, but it’s such an unusual thing to be a fan of. That’s like saying, “I love zombie movies! I just love ‘em! They’re my favorite!” That’s more of a psychological problem than being an actual fan. The lore of the vampires is much more present in this film. Which new character did you like the most? PATTINSON: I like Benjamin. Rami [Malek] plays him. Mainly ‘cause he’s a great actor. He only had a couple of scenes in it. It was nice having actors who came in and were really, really enthusiastic. They were like, “This is a big deal, being in a Twilight movie! I’ve got these fives lines, and I’m going to own them!” Bill [Condon] got some great people. What were your first impressions of Kristen Stewart and Taylor Lautner, when you met them, back at the beginning of this whole thing? PATTINSON: I met Taylor on the movie, I think, when he was wearing his wig and stuff. I met Kristen at the audition. I’m still just trying to come to terms with acknowledging being an actor, at all. Taylor was like 15 when I met him. When I did Harry Potter, I remember looking at Dan [Radcliffe], Rupert [Grint] and Emma [Watson] and being like, “Those guys are actors.” I was starstruck by them. And I was starstruck by these guys, when I met them, even though I’d only seen Kristen in a few thing. I’ve always had this separation. It’s funny to see people get humanized. With Dan, Rupert and Emma, I still see them as that. I was with them for 11 months and I still see them as massively famous people. It’s strange to have gone through the same experience with Taylor and Kristen, as well, and to see people retain their sanity, as much as possible. I’ve seen a lot of people have minor amounts of fame and just lose their minds completely, after a casting announcement, let alone having done a movie. It’s amazing to see that people manage to maintain. 12:08 p.m. There he is. He's looking rather dapper with a suit (no tie) and his hair properly gelled. 12:09 p.m. What perspective does Pattinson have on the whole spectacle? People have asked him from the beginning and he doesn't know. "I don't think I've ever felt more completely bewildered knowing that I only have a month of 'Twilight' stuff," Pattinson says. He expects it to take 10 years. "I don't think even the fans know why they connect with it the way they do. I think it's a visceral thing. I don't think Stephenie could tell you why she was fixated on this very contained story," he says. "I don't know," is his final answer. 12:10 p.m. If he could go back and give himself advice what would it be? "Start drinking vodka instead of beer. Try and get a six-pack as early as possible and you'll be a much more successful actor," he jokes. "We're still getting massive surprises any time you have any sort of 'Twilight'-related events," he admits, recalling a massive venue at Munich's Olympic stadium. "IT's absolutely bizarre. There's no way you can ever compute it," he says. 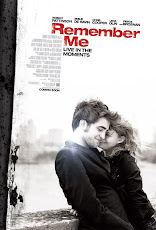 12:12 p.m. What does "forever" mean to Pattinson? "Ummm... Death?" he jokes. "Hope, I guess? That's kinda a different question," he says. He really doesn't have an answer, but he laughs amiably while stalling. 12:13 p.m. What was his last scene as Edward Cullen? And his favorite fan moment? "It was hilarious considering we spent the entire series filming in the most miserable conditions and then we end on a beach in the Caribbean filming two scenes in the sea," Pattinson says. "They were considering shooting it in the sea in Vancouver, which would not have worked at all," he laughs. 12:14 p.m. He says the part is strange because so much of the audience attempts to project idealism onto the character, but he's always wanted to accentuate the "fallibility and weaknesses." "You're trying to play an archetype on one hand and a character on the other," he says, explaining his frustrations with Edward. 12:15 p.m. What was easiest and hardest to leave behind about Edward? He says he liked being about to keep improving the character across a series. "You feel strangely secure. It's the opposite of how you're supposed to feel doing a movie. It's supposed to feel totally foreign each time," he reflects. He admits there's a tendency towards laziness, but having different directors has kept him on his tone. "Playing a part where you can't get hurt and you can't die, because there's no framework. There's too many possibilities if you can't die," he says of the worst thing. 12:17 p.m. He doesn't know how this will impact him 10 or 15 years down the road. "It's really not up to you. I'm getting other parts that aren't vampires. I don't know if people will accept me in them or whatever, but there's really nothing to be afraid of," of typecasting. "I don't know how people will remember the series at all," Pattinson says of the fanbase in 15 years. 12:18 p.m. Would he like to relive anything? "The whole first movie was pretty fun," he says, recalling everybody's relative inexperience, which led to "a really good energy." "None of us were really known then, as well, so it felt like a big deal at the time. It was exciting. It was really exciting the first one." 12:19 p.m. Is he worried about maintaining this level of success? "If I had a little bit more control over my public image, I guess, that would be nice," he says, not quite answering the question. "No. I think it's impossible, for one thing. I don't think anyone can do that, apart from Denzel Washington," he says. "It's a strange place where the film industry's at. I guess you could just play superhero after superhero, but that seems to be the only guaranteed, big money thing," he notes. Pattinson isn't sure that would be satisfying. "There are no guarantees, so I'm kinda signing up to do movies that I would be proud of if it were my last one," he says. 12:21 p.m. At the end of the day, is he glad it's over? "In some ways?" He stutters. "As soon as something start referring to something as a franchise, a franchise is a Burger King or a Subway," he reflects. "You have no control. It's a huge juggernaut, especially when something becomes part of the cultural landscape. It's really scary. You get trapped and you get scared of changing, which is the worst thing that can happen if you want to become any type of artist," he says. 12:23 p.m. "I get a lot more abuse in England," Pattinson says of his varying level of fame. 12:24 p.m. "I think working with kids and I like working with animals, which is what everybody says you shouldn't do," Pattinson says of working with Mackenzie Foy. "They got some good baby actors," he adds. 12:24 p.m. Which new character did he most like? And what's his favorite vampire show or movie? "I like 'Blade.' I really like 'Blade,'" Pattinson says, yearning for more hard-R-rated films like that. Among the new characters, he liked Benjamin and Rami Malek. He praises the actors who came in thinking it was a big deal and bringing enthusiasm to the set. He returns to the second part of the question, though he says he isn't necessarily a vampire fan. He's not a non-fan but he says. 12:27 p.m. Does he remember his first meeting with Kristen and with Taylor? He also isn't sure when he first met Taylor, but he met Kristen at the audition. He remembers doing the "Harry Potter" movie and being impressed with the younger stars. He says he was star-struck when he met Kristen and even Taylor. "I still seem them as massively famous people. It's strange to have gone through the same experience with Taylor and Kristen as well," he says. He's seen people lose their mind over minor fame and he finds it amazing how well the cast has maintained perspective. Q: Now you have a sense of completition, five films out of four books. I'm curious.. are you allowing yourself any perspective? Do you see the value of all this? Rob: It's funny, people are asking me how I'd feel when it all ends when we were promo-ing the first movie. I've never felt more bewildered, knowing we only have a month let of Twilight stuff to do. i've said since the second one it's going to take ten years to settle into my brain. I don't think anyone knows why they connect with it the way they do. I don't even know if Stephenie knows why she was so fixated on this very very contained story. Q:: If you could go back in time five years, what kind of advice would you give yourself then to prepare what would happen in the next five years? Rob: Start drinkign vodka instead of beer. And try to get a six pack (abs) as early as possible, and you'll be a much more successful actor. Rob: It's kind of fun to deal with the terror and the huge highs and lows of things. I've never known - I'm still getting massive surprises any time we have a Twilight related event. When we went to Munich for the third movie, the entire olympic stadium was packed with 30k people screaming. Q: This words keyword is "forever" - what is this in regards to? Q: What was your last scene for the films? and favorite fan encounter? Q: Were you sad to let Edward go? Rob: Yeah, it's very strange. The entire way through - up to the last shot - it's a strange part because on one hand you have to have a lot of the audience project their idea of Edward. It doesn't matter what I do sometimes, the fans want him a certain way. Then there are my instincts to find the fallibility and weaknesses in him. So you're trying to play both these things at the same time. You're trying to play someone who's seen as playing this perfect thing. Q: Whws mostdifficult thing to leave behind? And whatas best thing to leave behind? Rob: It was great to have multiple films to get used to and get into the character. It's good to have multiple chances. It's bad on the other hand because your ideas dry up sometimes and you get lazy sometimes because you're around the same people. That was the good thing about having different directors, so you could stay on your toes. Q: This has obviously opened a lot of doors for you. How do you see it impacting your career ten, fifteen years down the road? Rob: I don't know - people ask if I'm afraid of getting typecast, but you can't be afraid of it. It's not up to you. I'm getting parts where I don't play a vampire. I don't know if people will accept me in them, but there's really nothing to be afraid of it. But yeah, I have no idea in fifteen years - I don't know how people will remember this series at all. It's crazy how intense people are about this series. So I'm not sure how that will last, if there will be that tenacity in fifteen years. Q: Was there any moment during filming that you'dl ike to relive and why? Rob: The whole first movie was pretty fun. There was a good energy, people were fighting for it because they believed in it (the first film). So it felt like a big deal. It was really exciting, the first one. And the whole year afterwards. Q: This franchise has given you a lot of success. Are you hoping to maintain that level of success as you go forward? Rob: Well, I don't know. If I could get any semblance, any more control, of m public image - that would be nice. No, it's impossible to maintain this level of success apart from Denzel Washington (laughter). It's a strange place where the film industry is at, where you could just play super hero after super hero. That seems to be the only guaranteed big money thing. Q: At the end of the day, are you glad it's over? Rob: in some ways. As soon as someone refers to these movies as a franchise - a franchise is a Burger King, a Subway - the big guys love it when something like this becomes a franchise. As an actor, it's scary. You really feel like you have no control. It's a huge machine and it becomes part of the cultural landscape. It's scary because you get trapped and you get scared of changing. And that's the worst thing that can happen. Q: Are you more famous in the UK than you are here? and if so, how? Q: You looked like a natural stepping into the father role? Rob: I quite like working with kids and animals, which everyone says you shouldn't do. Because it makes you feel like you're not acting - someone who's just providing stuff to react to. Especially working with a baby. It's great. I would say, but a dog or a baby in every scene - everything's gonna be better. And if they're not, just shoot the dog (laughter). They've got some good baby actors. Q: Do you watch any vampire films/shows? Q: Do you remember back i 2008 the first time you met Kristen and Taylor? I don't mean to throw Taylor under the bus but he says he can't remember meeting you. Rob: Gee I don't remember meeting him either. I met him when he was wearing his wig and stuff. I met Kristen at the Twilight audition. My impressions of them... I'm still just trying to come with terms of acknowledging being an actor at all. When I did Harry Potter, I remember looking at Dan, Rupert, and Emma and being like "Wow, those guys are actors" I was starstruck and I wanted to be one too. I was starstruck by Kristen too when we first met. With Dan, Rupert, and Emma, I still see them as massively famous people. It's strange to have gone through the same experience with Taylor and Kristen as well. It's massive.